Two years after the end of World War II and the defeat of the Axis forces of Germany, Italy, and Japan, this turbulent time saw the unfolding of the Cold War between Joseph Stalin’s Soviet Russia and the Western powers under the untested leadership of Harry Truman as America came to play a global role for the first time. The British Empire began its demise with the birth of the Indian and Pakistan republics, and the flight of millions as Vietnam, Indonesia, and other colonies around the globe vied for freedom. 1948 also marked the creation of the state of Israel, the refugee flight of Palestinians and the first Arab-Israeli war, as well as the victories of Communist armies that led to their final triumph in China, the coming of apartheid to South Africa, the division of Korea, major technological change, and the rolling out of the welfare state against a backdrop of events that ensured the global order would never be the same again. Important, timely, and spanning the globe with overlapping epic events featuring such historic figures as Truman and Marshall, Stalin and Molotov, Attlee and Bevin, De Gaulle and Adenauer, Mao Zedong and Chiang Kai-shek, Nehru and Jinnah, Ben Gurion and the Arab leaders, Crucible offers an unprecedented look at how these figures forged the path to our modern world. 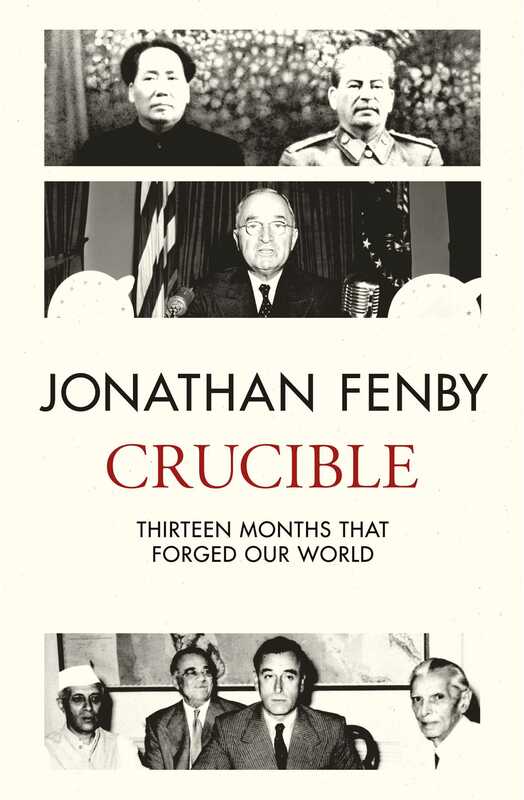 Jonathan Fenby is a former editor of the Observer, The South China Morning Post, and is a guest on many American news sites, including CNN. He is the author of several books including the acclaimed On the Brink: The Trouble with France and Generalissimo: Chiang Kai-Shek and the China He Lost. In 2013 Jonathan was awarded the Chevalier of the Légion d'Honneur by the French government for his contribution towards understanding between Britain and France.